Western Bank - "We Mean Business"
BANK LOCAL. BANK BETTER. BANK WESTERN. Western Bank is an innovative team of caring, friendly professionals serving the financial needs of West Texas. We are committed to building relationships as a trusted financial partner and leader in our communities. 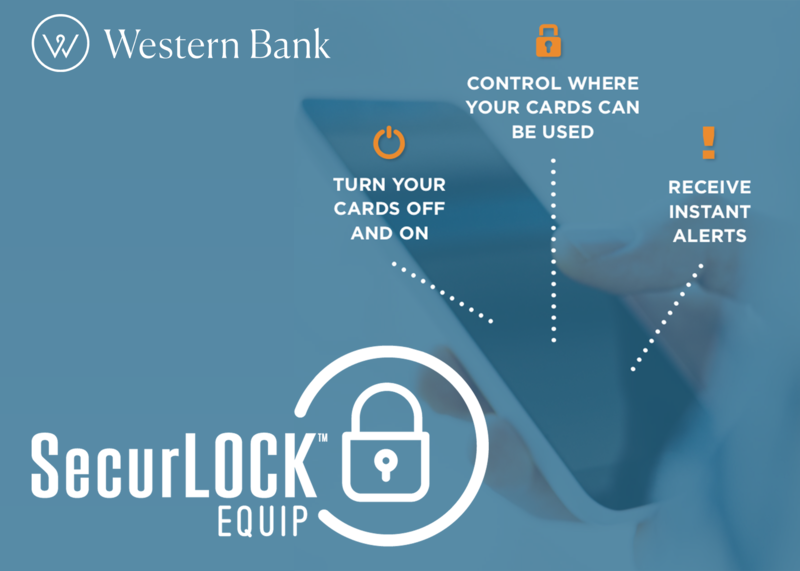 Western Bank is happy to now offer SecurLock, a FREE app that allows you to protect your cards directly from your smartphone! We encourage all of our customers to download the SecurLock app today, available for iPhone and Android users. If you have any questions, call your local Western Bank!